Compensation Systems NW was pleased to welcome Courtney in 2010. Her prior experience allowed her to hit the ground running. Her great attention to detail and proactive focus make her an exceptional Licensed Account Manager. Courtney’s strength in organization and her ability to see the big picture allow her to be an amazing asset to our team. 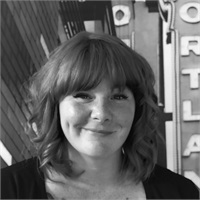 Courtney’s interests include exploring the great Pacific Northwest and she can often be found returning to work Monday with a slight sunburn as she hikes, camps and bikes most weekends. She is a transplant from North Carolina but fell in love with the beauty Oregon offers and is always planning her next adventure -- often accompanied by her four-legged friend Obie.